Apologies for the delay since my last post, the wifi on my adventures has been limited. We are staying in bed and breakfast accommodation in Venice therefore breakfast is included. 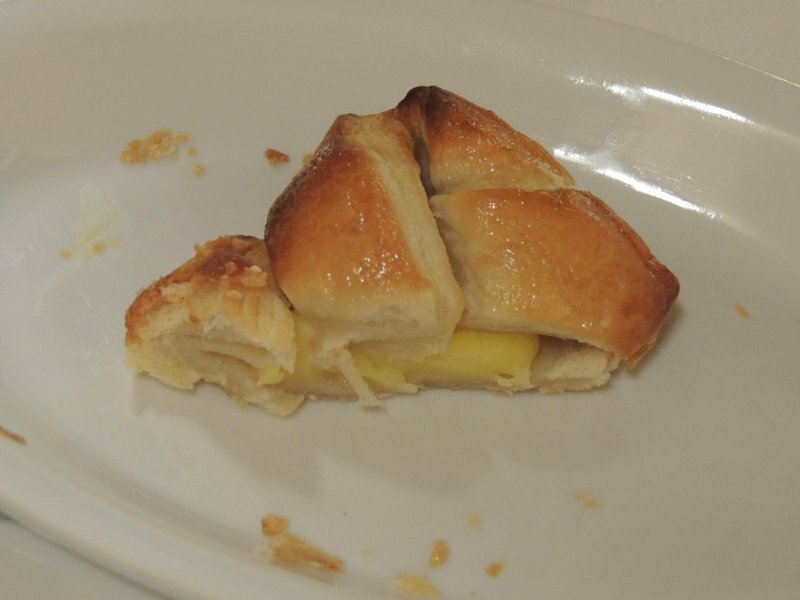 As we arrived in the dining room this morning we were greeted by our host and directed to a small table made up for us with Italian bread, butters, jam, an apricot filled croissant and a cream filled pastry. 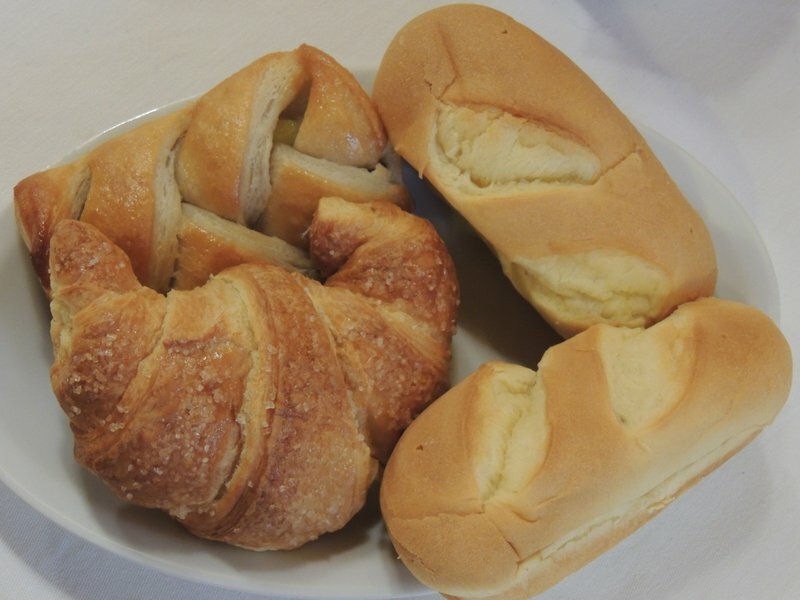 So far I had managed to avoid eating crossants in Paris however with the lovely bed and breakfast owner talking with for the entirety of breakfast, I had no choice but to eat these sugary baked goods. I almost felt bloated before I ate them but after eating them I felt terrible. 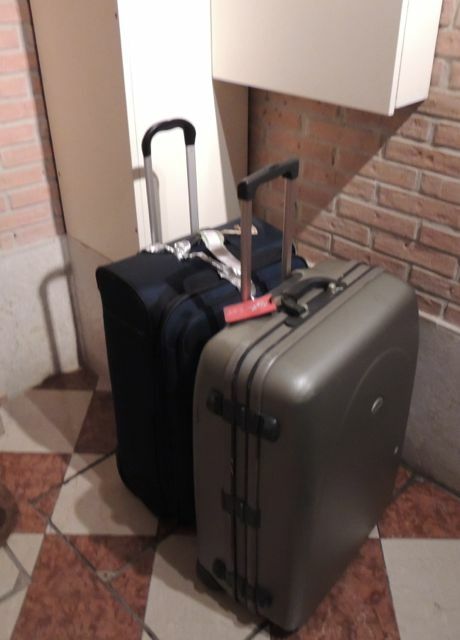 As mentioned in yesterday’s entry, Vueling Airlines had lost our luggage from Barcelona to Venice so our host tried to assist by making a call to the airline however this was not successful!! Was I ever going to see my luggage again?? I felt terrible as the boyfriend (Sean) and I had no toiletries or clean clothes. Next task was “operation lost luggage” and let me tell you, an operation it was!! The public phones in Venice were not connecting but we did not understand why as the message on the phone was in Italian!! How could this seriously be happening!!! 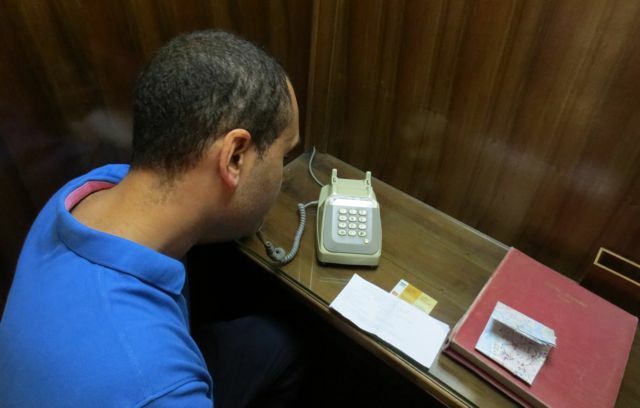 Long story short, the number we had to call was a PAID number therefore public phones were not allowing us to dial.. What were we to do?? We needed to find out what the heck was happening with our luggage!! 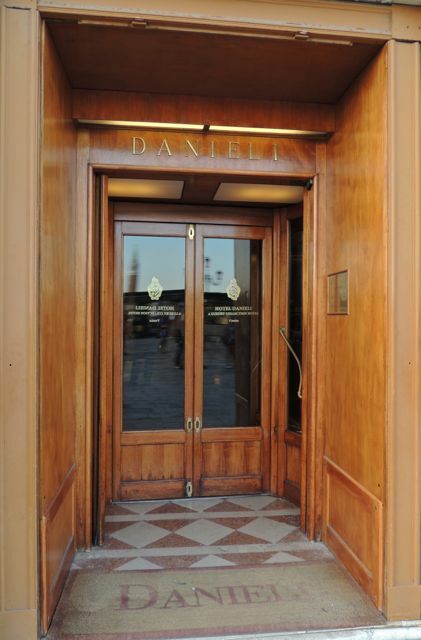 We walked around aimlessly and stumbled upon a hotel that had a name almost identical to mine, “Danieli”. If anyone was to help us, surely a hotel that shared the same name with me would assist, right? Almost seven euro’s later we were advised our bags were in Madrid!! HOW did they end up there!! There was nothing more we could do but wait so we walked around beautiful Venice and tried to forget this unfortunate mishap. This place is seriously beautiful!! There are little bridges everywhere with little nooks and crannies to explore however it is very easy to get lost as we discovered on many occasions. 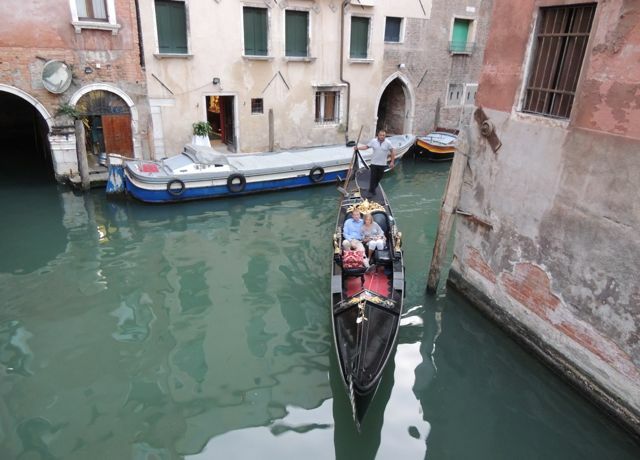 There are so many beautiful women in Venice, they are dressed lovely and have the most a gorgeous olive complexions. This was quite intimidating as due to our lost luggage fiasco, I was dressed like an albino homegirl, wearing the same shorts, singlet and sneakers from the day before. I didn’t want to spend too much money on clothes or additional toiletries as my suitcase was already 500g over my limit and I was unaware of how much my travel insurance would cover. I went in to a pharmacy and sampled a few moisturisters but none of them came close to the moisturiser I use as after trying them, my skin still felt dry. All of the fine wine and heavy food I had consumed so far on my Quirky adventure had taken a toll on my skin. There was no moisture in these creams which my face was desperately craving!! The pharmacy lady tried to assist but I didnt want to spend so much money on a moisturiser that was not beneficial for my skin type! 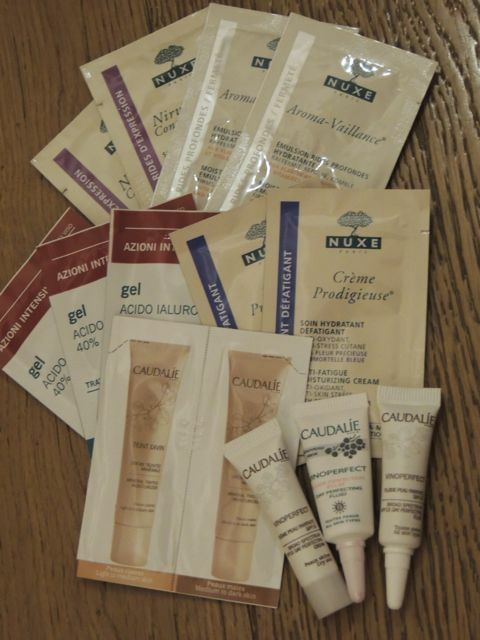 The pharmacist must have felt sorry for me as she provided me with many different moisturiser samples that would hopefuly tie me over until my luggage was returned!! I felt much better with a moisturised face with a bit of colour so it was time to do some more sigh seeing!! We had looked on Trip Advisor and decided to visit a church that was rated highly as places to see in Venice.. We lined up but once we got to the front, we were advised by the security guard NO SHORTS OR SINGLET TOP, sheesh there goes my prayers to get my luggage back.. The only logical thing to do was to sample some of Venice’s fresh produce!! I stumbled on a fruit shop that sold one of my favourite fruits…. figs, I absolutely love them!!! 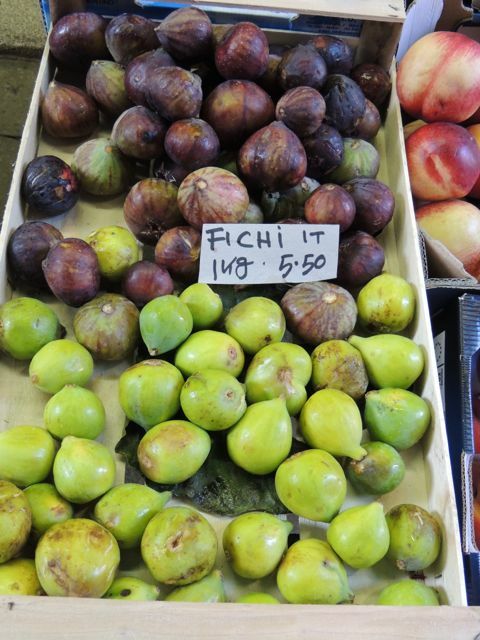 Figs are not only low in calories with 100g of fresh fig containing 74 calories. Figs contain health benefiting soluble dietary fiber as well as a variety of minerals, vitamins and anti-oxidants that contribute to health and wellness. 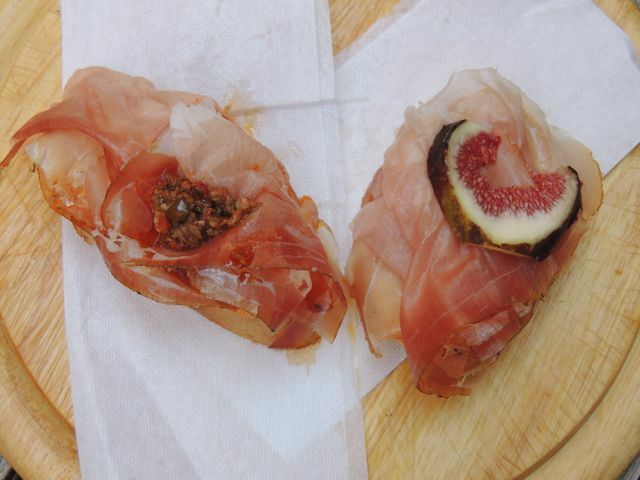 These figs inspired me to eat a yummy prosciutto and fig tapas snack (which was again on crusty pieces of baguette) and boy was it delicious!! 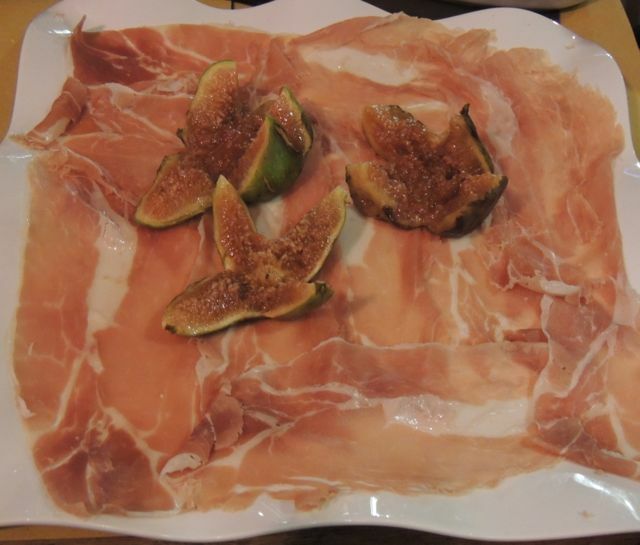 The fig tapas had me craving more so when I saw prosciutto and fig on the entree menu at dinner, I was SUPER excited, this is just what I needed, I could feel the vitamins working their magic!! I followed this with a clean octopus salad, not the tastiest salad I have consumed but I could taste the cleanliness of the dish which pleased me immensley!! 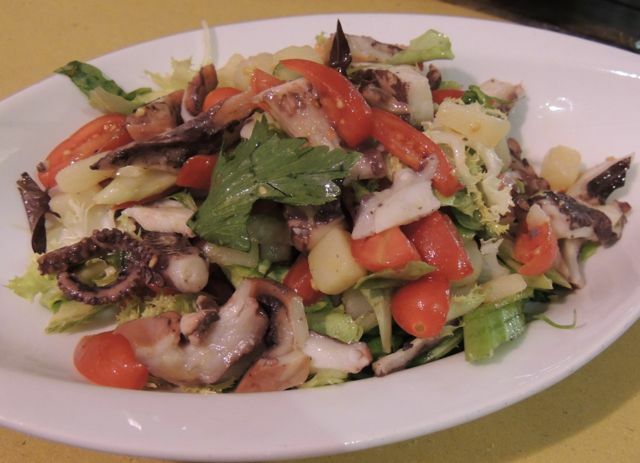 The thing I absolutely love about octopus is the fact it is a lean seafood and also low in calories.. Eating octopus is an excellent way of including protein in your diet without adding too much fat. Octopus contains approximately 140 calories per 85g, with only 1.8g of fat as well as being a good source of iron and a source of calcium, potassium, phosphorus and selenium. There are so many additional advantages, I could go on forever!! What could make this night more perfect than returning home to see our luggage had arrived…. WINNING!! !